Even though we all officially celebrated the first day of fall a few weeks ago, my season starts the day I roast a butternut squash. I love love love roasted butternut squash. First off, it makes my kitchen smell so warm and cozy. 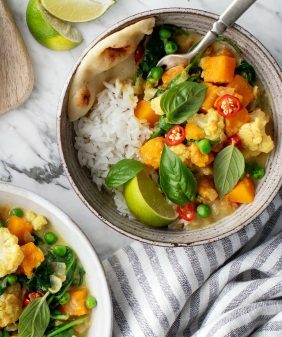 Second, it’s such a delicious and versatile squash that works in so many of my favorite comfort food recipes like soups, risotto, and pasta. But I’m saving comfort for another day because today is taco day! I’m so obsessed with these crispy baked butternut squash tacos. This recipe starts with a pretty darn awesome sauce, if I do say so myself. 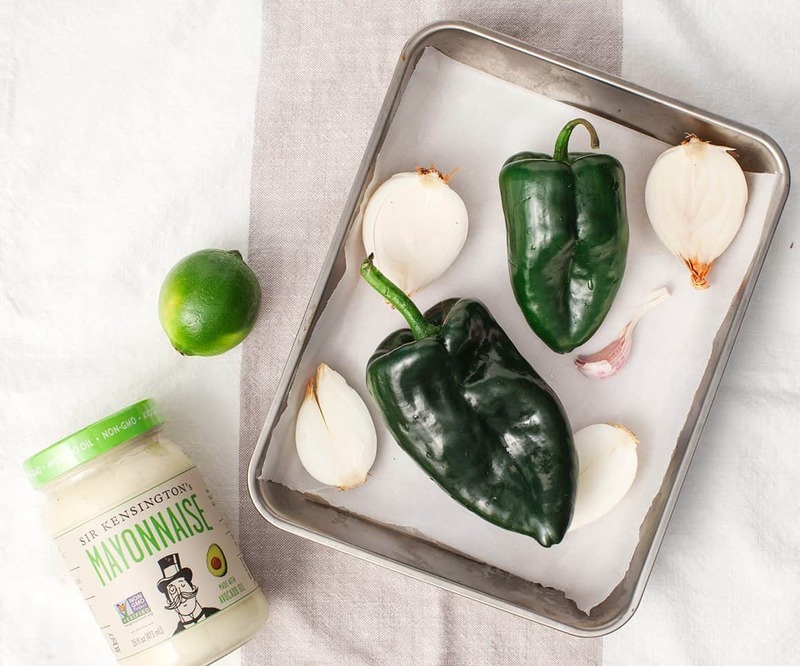 Roasted poblanos, onions, and garlic get mixed with lime juice, cilantro, and the best mayo on the planet – Sir Kensington’s Avocado Oil Mayonnaise. If you’ve been following me for a while, you know how much I love Sir Kensington’s condiments (see here, here, and here). They source the best ingredients and their ketchups, mustards, and mayos just taste so darn good because of it. 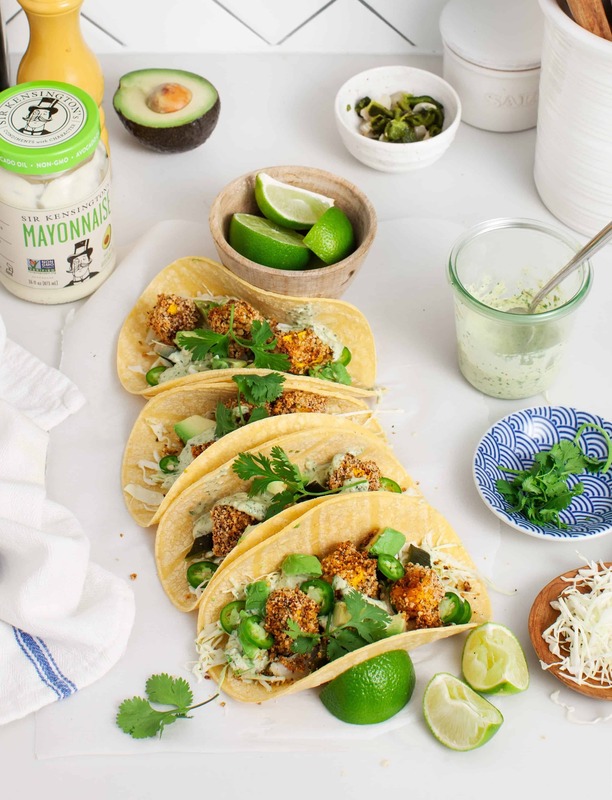 I could eat this mayo straight from the jar, but since this blog is about recipes, I whipped it up into this spicy, tangy sauce to go with the butternut squash tacos. Btw, if you’re vegan, go ahead and make this with Sir K’s Fabanaise. Part two of this recipe is the baked crispy squash. There’s no need to fry anything here because this spiced panko & hempseed “breading” makes the squash cubes crispy and delicious in the oven. The hemp seeds might seem like a strange addition, but they offer a lovely nutty flavor (as well as some nutritional benefits). As the squash roasts in the oven, make a quick slaw with a scoop of the poblano sauce. Pro tip: once the squash is baked, try not to stand at the kitchen counter dipping and snacking on the crispy cubes like I did! 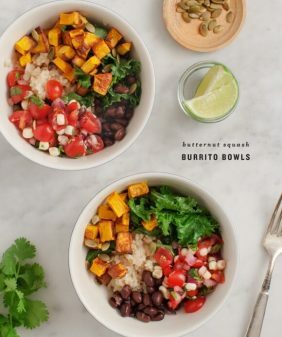 Assemble the butternut squash tacos with the slaw, the remaining roasted poblanos & onions, the crispy squash, avocado (optional), and generous scoops of the sauce. The sauce is the star of these crispy baked butternut squash tacos. Easily make it vegan by using vegan mayo. On one baking sheet roast the whole poblanos, halved shallots, and garlic for 20 minutes or until the shallots are nicely browned and the poblanos are charred. Make the Crispy Squash: In a small bowl, combine the ground flaxseed with the almond milk and set aside to thicken for 5 minutes. Note: If the mixture becomes too thick as you work, thin with a tiny bit more almond milk. In a medium bowl, combine the panko, hemp seeds, chili powder, onion powder, and the salt. Dip each butternut squash cube in the flaxseed mixture and then the panko mixture. Place the cubes onto the second baking sheet and drizzle with olive oil. Bake for 35 to 40 minutes or until browned and crispy. 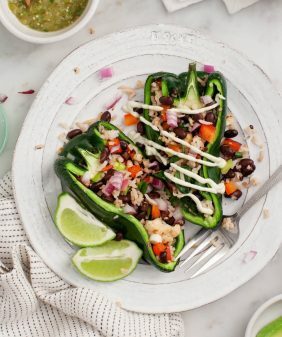 Make the Poblano Sauce: In a food processor, combine ½ of one roasted poblano, ½ of one roasted shallot (you will use the remaining poblano and onion in the taco filling), the peeled roasted garlic, the mayonnaise, cilantro, lime juice, salt, and pepper. Blend until smooth, leaving some remaining green flecks. Chill until ready to use. Slice the remaining poblanos and shallot and set aside. Place the shredded cabbage into a medium bowl, add a heaping scoop of the poblano sauce, and toss until combined. Fill each tortilla with the cabbage, sliced poblanos and shallots, the butternut squash, avocado, cilantro, a scoop of aioli sauce, and the serrano peppers, if using. Serve with the remaining sauce and the lime slices. This post was created in partnership with Sir Kensington’s. Thanks for supporting the sponsors that keep us cooking! Hi There – this looks great! Cant wait to try! Do you think the sauce would be okay with greek yogurt instead of the mayo? 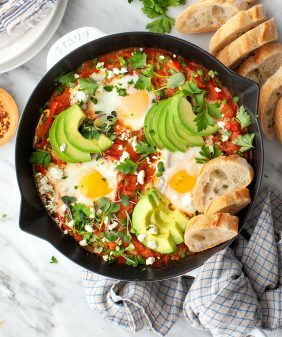 Update – made this last night – AMAZING! And surprisingly simple. I used greek yogurt instead of the mayo, seseame seeds instead of the hemp seeds, and red cabbage instead of green (because that is what I had), and WOW, delicious! This will be something I make often! (also, yes…very difficult not to snack on the crunchy butternut squash cubes)! Thanks! 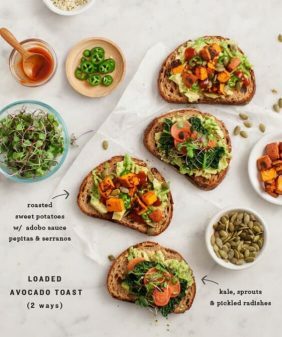 I’m drooling — this looks like an absolutely genius recipe. Love the sounds of the individual components and definitely the combination of them all in a taco. I’m a big fan of Sir Kensington’s too! Jeanine you are the queen of tacos! Seriously, so good. Tacos aren’t a big thing here in NZ, but you always make them look so good. I need to make one of your recipes sometime! PS – got your book out from our local library, I love it. Think i might have to acquire my own version! These are fabulous! I’ve made them twice in one week … and my meat eating husband loves them and asked for them again. He loves the ‘coleslaw’. Thanks! We had these for dinner tonight and they are fabulous! 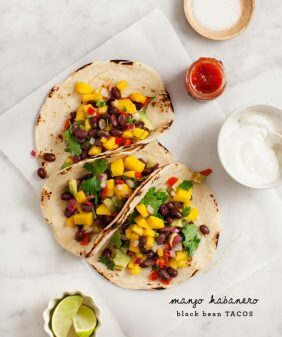 We are new vegetarians and have been looking for some good taco alternatives, and these really hit the spot! Oh, pro tip for tacos of all kinds — take some tongs and “toast” your corn tortillas on each side, directly on top of the burner on your gas stove, until the edges are a bit blackened and the tortilla puffs up a tiny bit. You won’t be sorry!